Is this step correct? It seems that a normalization is required here; if no normalization is done, the result SNR would depend on the preamp input gain! Compute the RMS of the A-weighted signal, during the silence/noise-only part. This will be the final "Signal-to-noise ratio, A-weighted (re. 94 dB SPL) of the microphone". Here is a WAV file I recorded with the method described here. I'm curious to find how to find the A-weighted SNR of this microphone. IEC 801-21-20 Defines sound pressure as the RMS of of the instantaneous pressure, and as far as I know all meters use RMS. The problem you have in your implementation is that you are normalizing the peak value of the active region but measuring the RMS of the inactive part. 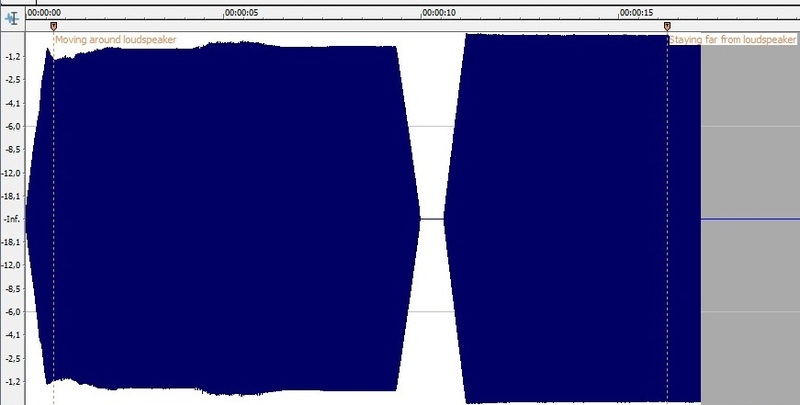 As you described, for sine waves the RMS is 3dB less than the peak. You could take the Difference between the RMS in the active to the inactive regions. Or you could assume that the active RMS is -3dB and use that instead. Otherwise you should be good to go. 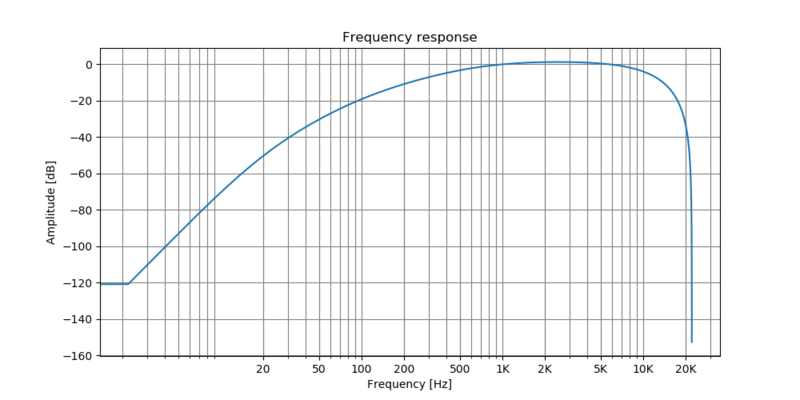 More generally, the dB SPL measurement is rather dependent of the position/angle between the SPL meter and the loudspeaker, and idem for the microphone: turning the microphone or SPL meter facing the loudspeaker of a few degrees will change the measured level of a few dB (example: it can change from 94 dB to 91 dB), so it is required to not move the microphone/SPL meter/loudspeaker during the recording session. Sidenote: some people use such expensive calibration tools that produce a 94 dB SPL 1Khz sine, in which you insert the microphone; this probably avoids the loudspeaker and microphone orientation problems. Subtract both numbers, this will be the final "Signal-to-noise ratio, A-weighted (re. 94 dB SPL) of the microphone". Not the answer you're looking for? Browse other questions tagged audio noise snr dbfs or ask your own question. what does musical noise sound like and is there a sample clip for it?